Looking For Contact Lenses In Moorestown, NJ? There are three components that go into wearing contact lenses. Most people get all three components in one office, but some people receive only the Ocular Health Examination and the Contact Lens Professi onal Services in a doctor’s office and take a written copy of the prescription to obtain the boxes of contact lenses elsewhere. No matter where you get the contact lens boxes, you need an annual eye examination and contact lens fitting/evaluation BEFORE a contact lens prescription can be provided. This is regulated by Federal law, even if you have been wearing the exact same prescription for many years. Contact lenses rest on the cornea and do carry risks, although extremely rare, that can cause permanent vision loss. As such, they are regulated just as other prescriptive devices/medications, and contact lenses prescriptions are required to contain strict expiration dates beyond which no additional contact lenses can be obtained without an examination. Some offices will bundle the fees into one price, some offices will show you the break down of each of the 3 components listed below. Sometimes referred to as an “annual eye examination”, this portion of the examination checks the health and functioning of your eyes. 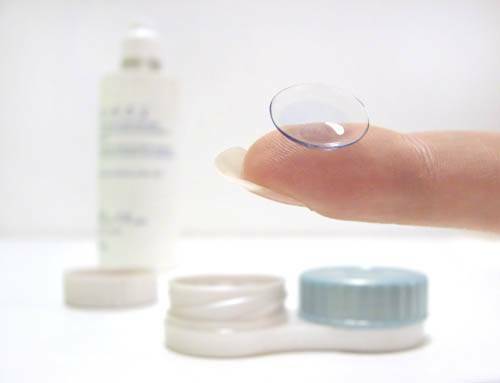 In order to ensure good ocular health, patients must have yearly eye exams to reorder contact lenses. Often, but not always, insurances will cover THIS PORTION of the examination. Contact lens services, sometimes called fittings or evaluations, include ADDITIONAL testing not included in “routine eye exams”. Those measurements include additional acuity measurements, corneal curvature measurements, HVID evaluation, Tear Flow Analysis, Oxygen Flow evaluation, Initial Lens Selection, Diagnostic Lens evaluation, and Doctoral level education on the various types of contact lens materials to provide the best possible match for your ocular health, your lifestyle, and your vision. Contact Lens Services are generally NOT COVERED by routine eye exam coverage except in the case of certain vision plans (such as VSP and Eyemed) which may provide partial or total coverage depending on the plan. Some plans will also provide a reimbursement toward contact lens fees but do not pay us directly. Once all professional services are completed and paid for , you are free to obtain your actual boxes of contacts from any legal contact lens supplier. However, in almost all cases, the contact lenses cost less at our office than they do elsewhere. Feel free to compare! Research and review all of the contact lens discounts that we offer here. If you're looking for contact lenses, We offer the most popular brands in contact lenses that you can order online today!